EAI Solutions by Mahesh : What is Activity BPM ? What is Activity BPM ? The Activiti Designer is an Eclipse plugin which allows you to model BPMN 2.0 processes from within your IDE-environment. It also has built-in support for the activiti-specific extentions to enable you to use the full potential of both the processes and the engine. 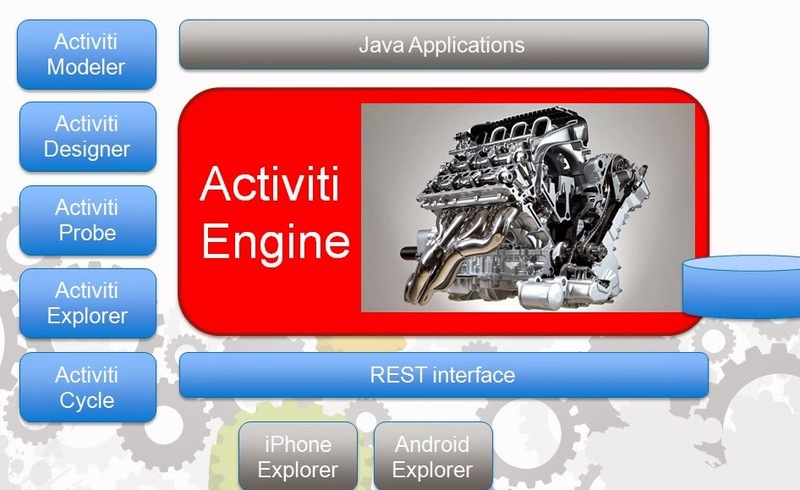 Activiti Explorer is a web application that provides access to the Activiti Engine runtime for all users of the system. It includes task management, process instance inspection, management features and viewing reports based on statistical history data. 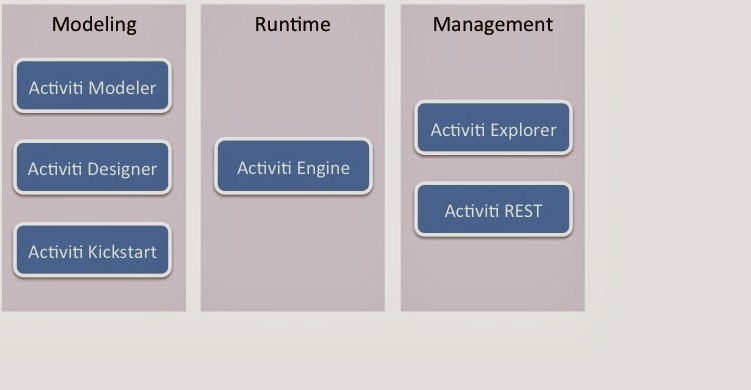 The Activiti Modeler is an open source version of the KIS BPM process solution. It can be used to author BPMN 2.0 compliant processes graphically. The process files are stored by the server in a database model repository.